With the rapid pace of technology continuing to accelerate, Healthcare IT teams face an ever-changing landscape. The pressure to manage users and optimize processes while keeping systems and patient data safe can put even seasoned CIOs in the hot seat. 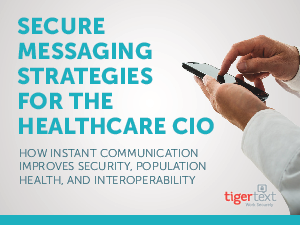 Fortunately, a solution like secure messaging can have a major impact across a hospital organization by facilitating communication between staff and systems. Following are three key areas where secure messaging can have an impact.